Here's a question: which National Trust property do you think has the best ever claim to fame? There are plenty of contenders, what with all those appearances in Downton Abbey and Wolf Hall and Bargain Hunt. For me it's either Moseley Old Hall in Wolverhampton or The Vyne in Hampshire. Moseley Old Hall was where Charles II hid in a priest hole after the Battle of Worcester. Imagine if there was a revolution today and tomorrow evening Prince William turned up at your back door asking you to hide him from Ken Livingstone, or whoever had abolished the monarchy. And the only safe place involved you lifting up the floorboards, pointing to a tiny, dark little hole and saying "er..here?" It's a cracking story - read about it. But I think The Vyne probably trumps it, because they have a great claim to fame AND a great name. The claim to fame goes like this: in 1785, a gold ring was found in a nearby field. It turned out to be a Roman ring and it was later linked to a tablet found in Gloucestershire cursing the person that had stolen the ring from its owner. An archaeologist trying to work out the significance of all of this turned to the Professor of Anglo-Saxon at Oxford University. That professor later wrote a couple of books about rings that you might have heard of - his name was J.R.R. Tolkien. And the ring that probably inspired Tolkien is still at The Vyne today - I work with a lot of Americans and I sadly use the word awesome way too much but The Vyne ring is truly deserving of the word. For more about the ring, read my previous post. ANYWAY. We went back to The Vyne today because it had been semi-shut on our first visit in January 2014 and we didn't get to see the inside of the house. The Vyne is a Tudor building, constructed in the 16th century by Lord Sandys, who was Lord Chamberlain to Henry VIII. The Sandys family eventually came unstuck and the estate was sold to the marvellously named Chaloner Chute, who was Speaker in the House of Commons during the Commonwealth. 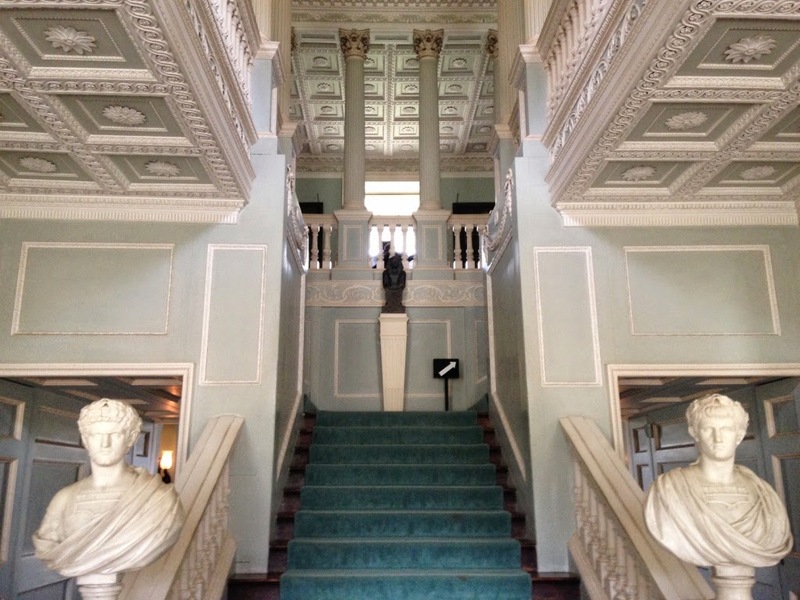 His great-grandson John Chute inherited The Vyne in 1754 and he carried out some alterations - he moved the front door and he installed a new staircase, which does come as a bit of a surprise after you've walked through Tudor rooms. 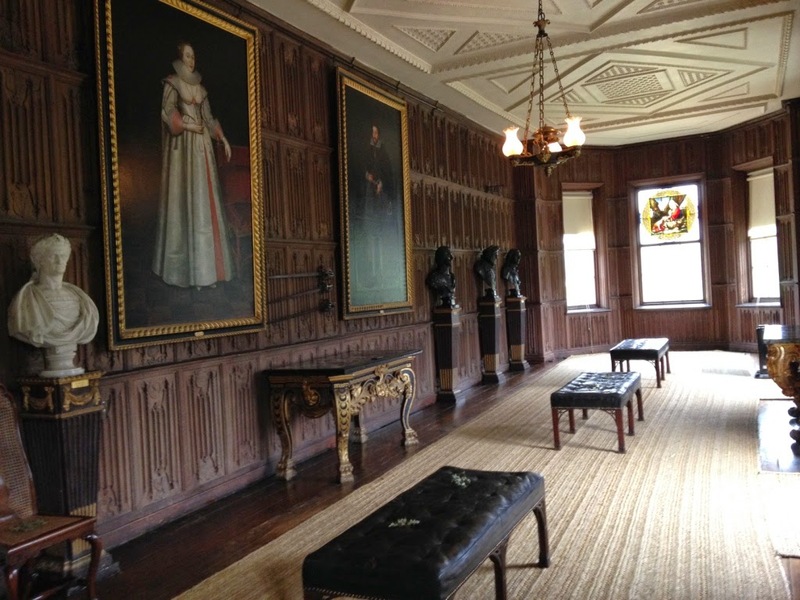 My favourite Tudory room was the Oak Gallery, which is one of the few surviving long galleries from the first half of the 16th century. I liked it mainly because it had rush matting on the floor and it always smells alive, like it would have done at the time. Admittedly it does also smell like a stable but I'm sure there were plenty of smells worse than straw wafting about in the 1500s. The other really good Tudor room is the chapel. 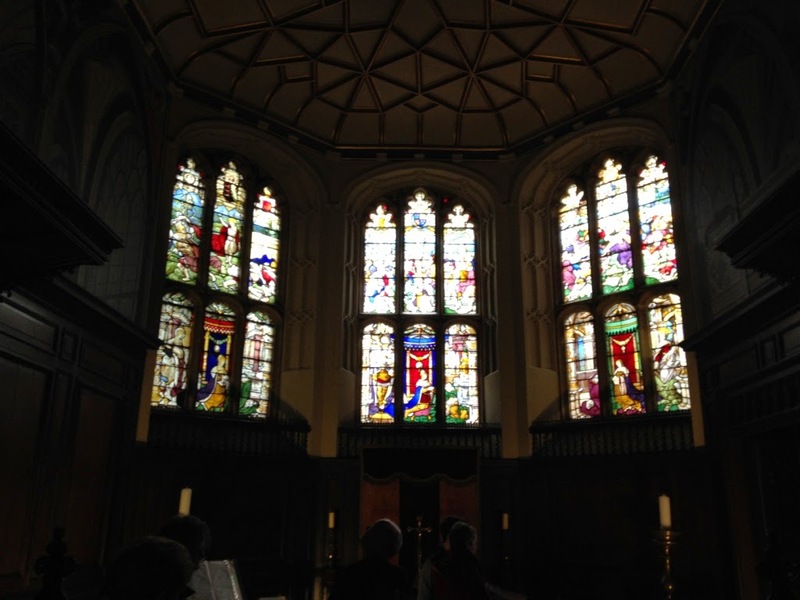 You can't see it in this rubbish picture but the bottom centre window depicts Henry VIII with St Henry. On the left is Catherine of Aragon with St Catherine. On the right is Henry's sister Margaret with St Margaret. You get the idea. Sir Charles Chute gave the house to the National Trust in 1956. Apparently the family still come back to the house and hold weddings in the chapel. 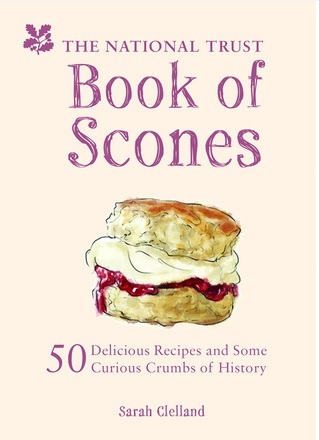 There was no scone scoring today - I'm taking the quizmaster route when it comes to revisiting National Trust properties and insisting that I take the first scone as their final answer. 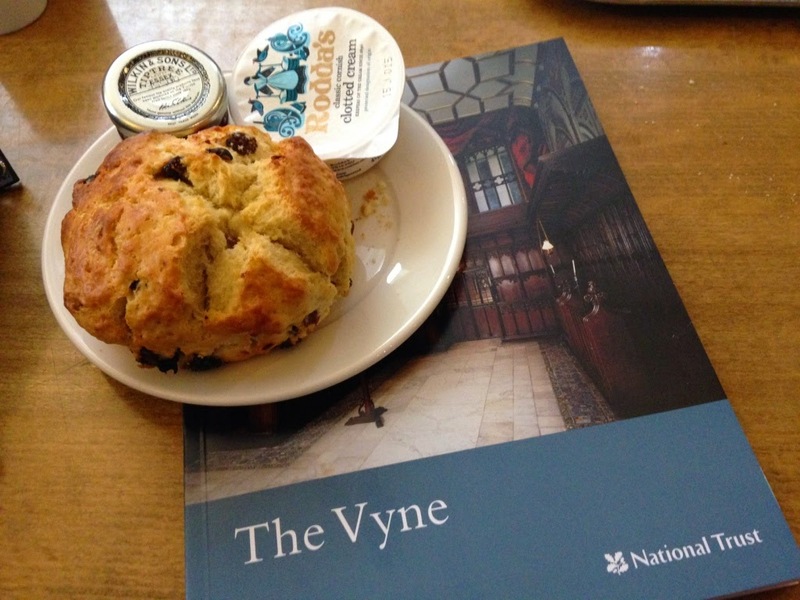 And that's a shame for The Vyne, as today's scone was wonderful and a big improvement on last year's version. 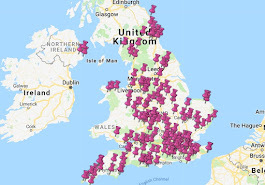 But that's enough revisiting for now - I've still got 150 odd properties to visit and I need to get a wriggle on. Next weekend I'm aiming for two big visits. In the meantime, let me know of any NT properties with even better claims to fame than my above choices. I love the Vyne. I've been several times as I live in Hampshire. And I agree with you, the segue from the Tudor rooms to the Georgian staircase is very jarring. Hee hee! I'm English living in America! 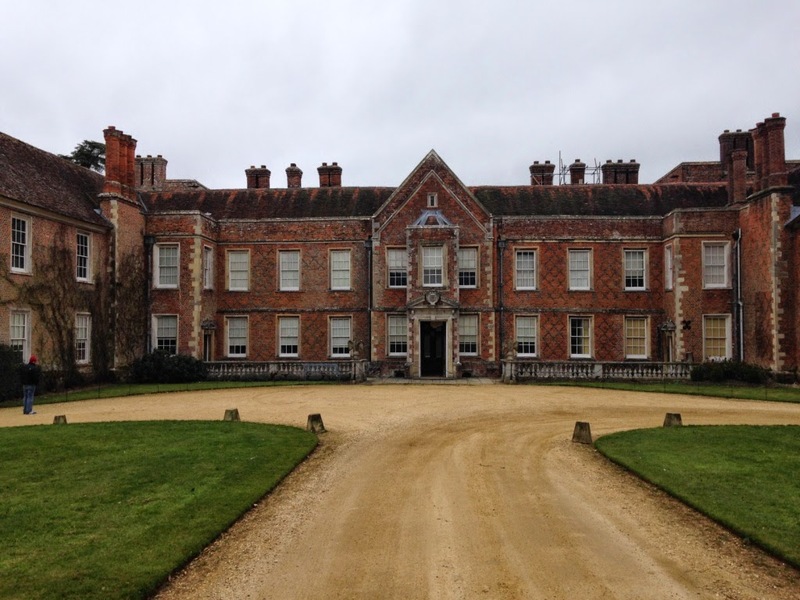 I enjoyed my visit to the Vyne. I was particularly looking for the One Ring, as I'd seen an article about it in the NT magazine and glad I spotted it as they didn't make a big todo about it! Looking forward to my next visit. Love my NT cream teas!! You're actually right, Silver Horde - it wasn't very well signposted and we'd have missed it on our second visit if we hadn't known about it. I will let them know! Thanks Xenia - I work in the UK for a US technology company and they are very good to us, so no complaints! I just keep using the word awesome a lot and my English friends think it is unbecoming for a 41 year-old!